The dinning room ‘Ricca’ is newly built for serving dinner and breakfast to guests staying in the new Western style rooms. Basic idea of providing local products or related products is specifically performed at the new restaurant ‘Ricca’. 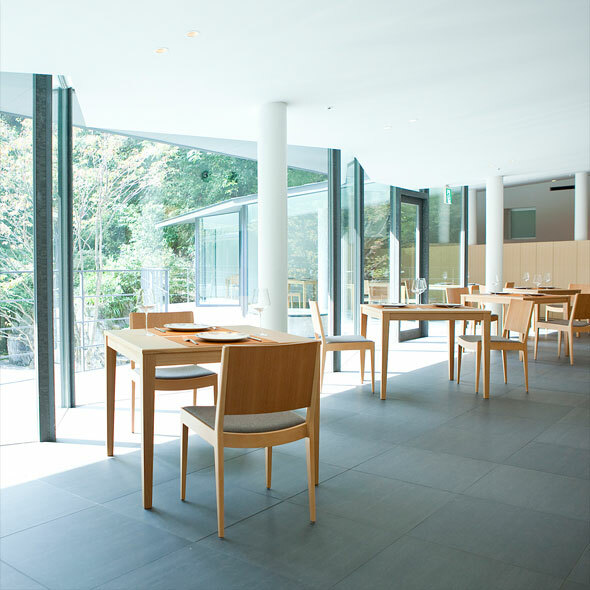 The concept of ‘Ricca’ is ‘Being blessed with natural resources from their hometown Kinosaki where storks are brought up.’ There is a legend that a wounded stork was found first and it healed the wound here in the 7th century. 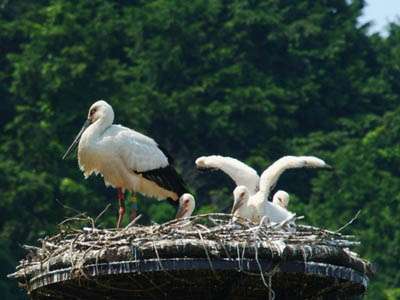 City of Toyooka has promoted protecting and trying to increase number of storks in the district, and now wild strokes have steadily increased its number. Local food materials, such as Tajima beef, Matsuba-crab, and river fish from Kannabe area, are positively arranged in their dishes. Also, they contracted with local farmers to purchase directly their farm products. Safe and fresh local vegetable is always available throughout the year. This is one of their advantages that they can use safe local food materials from specified farmers or fishermen.